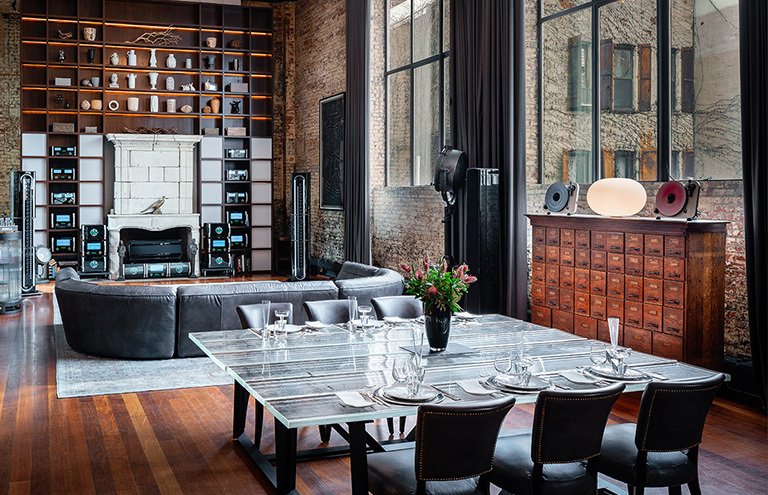 World of McIntosh Townhouse – In the heart of New York City’s upscale SoHo neighborhood, is a 5-story expression of The Art of Sound Experience of the McIntosh Group family (McIntosh Laboratory, Pryma, Sonus faber, Wadia Digital, Audio Research and Sumiko Subwoofers). 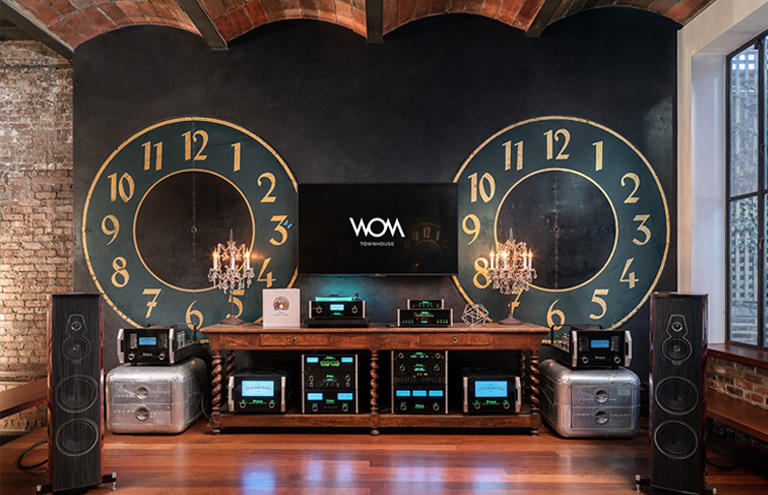 World of McIntosh (WoM) is a stunning five-story townhouse designed as an immersive space to showcase McIntosh Group brands’ products: McIntosh Laboratory, Sonus faber, Audio Research, Pro-ject Audio Systems, and Sumiko. 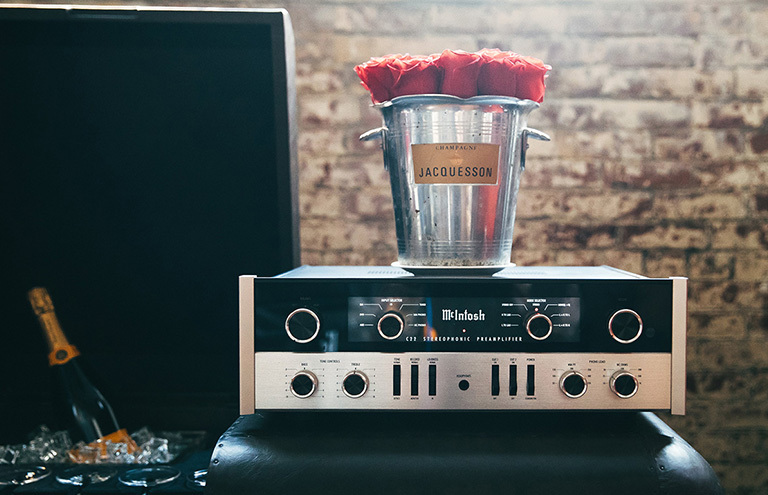 It is a thoughtfully curated showroom that offers invited guests a unique, all-encompassing sensory experience—one that realizes the full potential of audio excellence. 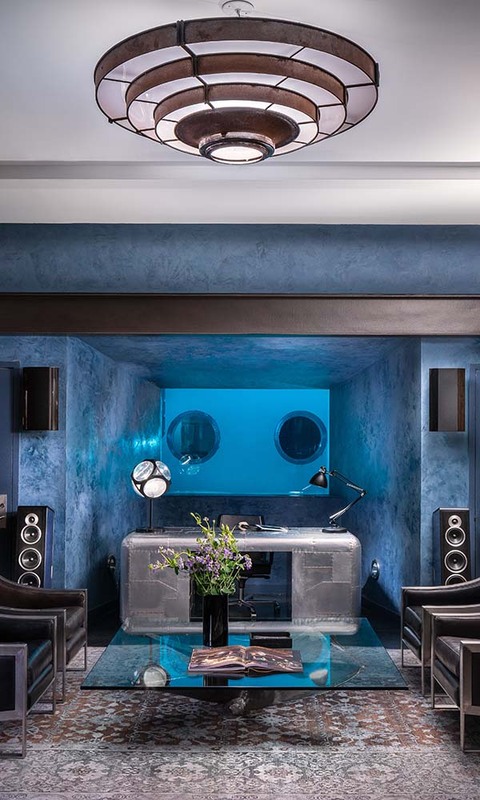 Located behind a discrete set of doors in the heart of New York City’s SoHo neighborhood, the striking expanse can be thought of as a HiFi speakeasy. Those who enter can expect an experience like no other: exemplary sound presented in beautifully designed spaces that leave one impressed, intrigued and inspired. Experience a hidden world that thrives at the intersection of audio, art and design. 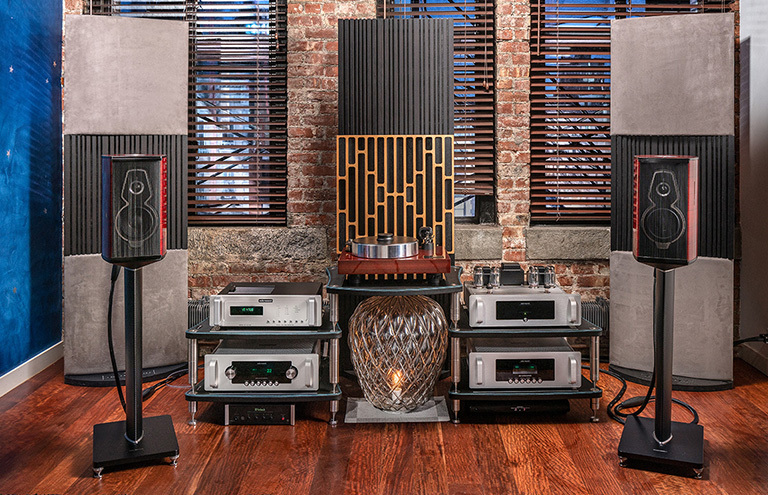 World of McIntosh is an immersive audio showroom for McIntosh Laboratory, Sonus faber, Audio Research and Sumiko Audio. While you can find McIntosh Group brands’ products in about 200 authorized shops around the nation, nowhere else will you find this kind of sensory experience that brings the music to life. The townhouse is full of beautifully designed spaces that showcase what the audio products will feel like in your own home… or dream home. 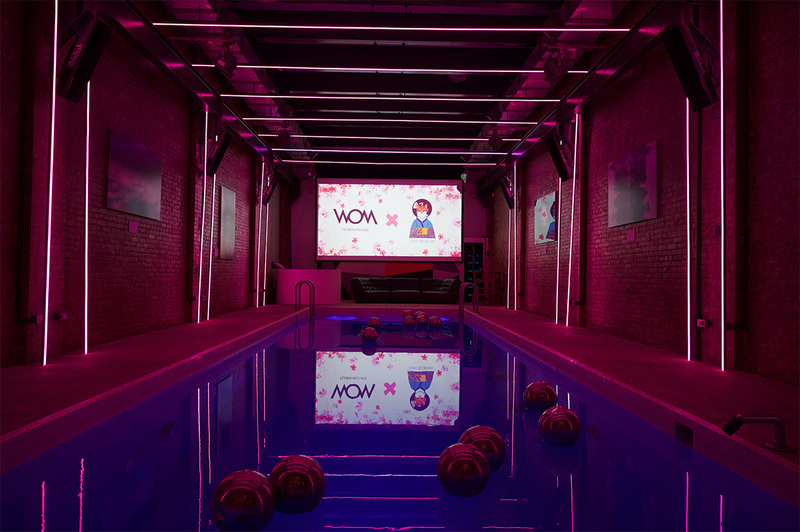 If you’re enjoying the music through experiencing our products, in an untraditional New York experience that’s just downright, well… fun—then we’ve done our job. So come, let us pour you a glass of wine and have an audio experience expert guide you from room to room. Our goal is for you to experience our products through all of your senses… transporting you to the World of McIntosh: where audio is paramount, but every component is considered. Some of the world’s most internationally renowned companies have chosen the Townhouse as the venue for special private experiences—and with good reason. The space is full of gorgeous spaces outfitted with exceptional branding opportunities—take, for example, the 160” projection screen hanging above a heated private pool on the first floor. A fully functional kitchen used by world renowned chefs waits upstairs, right beside a dining area that can accommodate up to 100 guests for a sit-down dinner. Further up, French doors open onto a scenic rooftop outfitted with cozy couches and offering sweeping views of the surrounding city. And it’s all equipped with the finest McIntosh Group brands’ sound equipment. Our in-house concierge is ready and waiting to discuss how to take your next private experience to the next level. McIntosh: Since 1949, McIntosh has offered distinguished quality audio products and superior customer service. 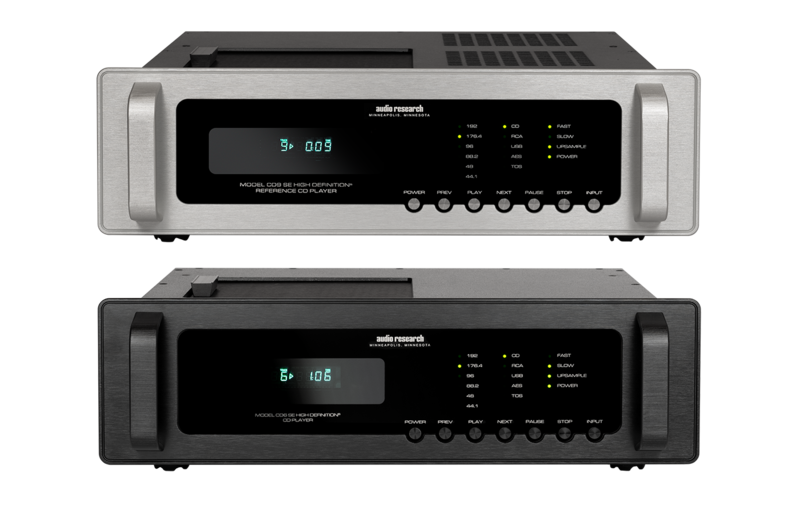 McIntosh continues to define the ultimate home entertainment experience for discriminating consumers around the world, with the iconic “McIntosh Blue” Watt Meters globally recognized as a symbol of quality audio. McIntosh products are designed and handcrafted in Binghamton, NY, by dedicated employees who share a passion for music and the McIntosh heritage. Sonus faber: Founded in 1983 in the hills of Vicenza, Sonus faber creates products that are handmade in Italy and meant to deliver sound at its absolute purest. Rooted in technical research and traditional craftsmanship, Sonus faber acoustic speakers are designed as true musical instruments. Audio Research: Audio Research is one of the oldest continually operating manufacturers in American audio. The company was founded in 1970 in Minneapolis with one goal in mind: to advance the state-of-the-art in music reproduction. Audio Research products are sophisticated creations oriented towards quality in both philosophy and design. Sumiko: One of the largest importers and distributors of high-end products in North America, Sumiko brand takes care of widespread distribution of Sumiko phono cartridges, Sonus faber and Pro-Ject Audio and Bassocontinuo. Pro-Ject: Pro-Ject Audio Systems has been an industry leader in HiFi products for over 40 years, bringing rich, evolving sound experiences to the masses. Long-established and rooted in analog and turntable production, Pro-Ject offers audio products with a large focus on a high performance-to-cost ratio. The brand is constantly incorporating cutting-edge technology and providing comprehensive solutions for consumers of all types. Bassocontinuo: Bassocontinuo’s products are characterized by clean lines and elegant simplicity. The design combines functionality with appearance, with a focus on ergonomics, practicality, and aesthetics. From the development and application of structure to the choice of materials, Bassocontinuo brings you the convergence of the practical and the beautiful in high-performance audio rack systems. The World of McIntosh (WoM) Townhouse is also a brilliant space to bring select marketing partnerships to fruition. It is a space where music, art and business work in tandem with each other: whether we partner with a luxury furniture company to add a distinct rock-n-roll element to our main living room, or with a charitable organization to add artwork to our walls whose sale will benefit the non-profit, we are always looking for fresh opportunities to partner with complementary brands.